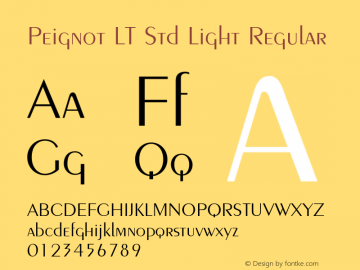 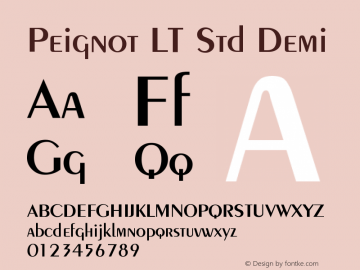 Peignot LT Std Light font family series mainly provide Regular and other font styles. Peignot LT Std Demi font family series mainly provide Bold,Regular and other font styles. Peignot LT Light font family series mainly provide Regular and other font styles. 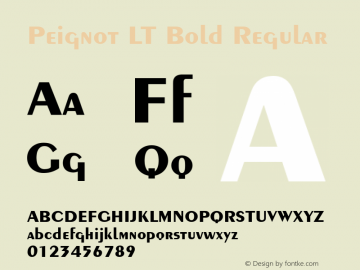 Peignot LT Bold font family series mainly provide Regular and other font styles. Peignot LT font family series mainly provide Light,Demi,Bold and other font styles. Peignot LT Demi font family series mainly provide Bold,Regular and other font styles. 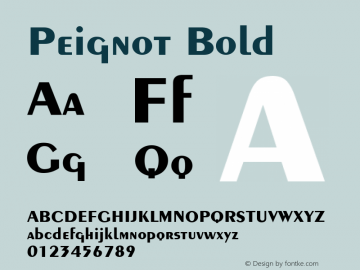 Peignot font family series mainly provide Bold and other font styles. Peignot font family series mainly provide Regular and other font styles.